Bio: The Ren Duo formed in Greensboro, NC between Dr. Xin Gao, assistant professor of music at Truman State University, and Taiki Azuma, DMA candidate at UNCG, having first performed in April of 2016. In collaboration over the past year, they have performed various pieces for both saxophone duos and saxophone duo plus piano. An interest in bringing forth pieces outside of the saxophone discipline sparked their premiere performance of Disco Toccata (arr. 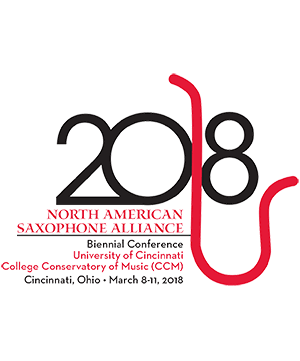 Azuma) at the 2017 International Saxophone Symposium in Fairfax, VA.
Xin Gao Saxophone Xin Gao serves as Assistant Professor of Saxophone at Truman State University. He has previousl . . .
Taiki Azuma Saxophone Taiki Azuma is currently pursuing a DMA in saxophone performance as a graduate assistant at UNC-Gree . . .